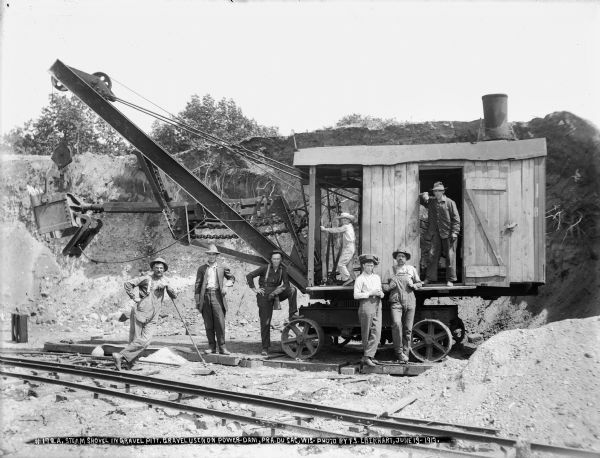 In 1905 West Terre Haute’s dreams of growth and prosperity rested on three (non-renewable) resources: coal, of course, clay and gravel. Yes gravel, that conglomeration of rock often piled in areas along rivers or oceans. In West Terre Haute’s case the gravel beds were deposited by the Wabash River. They provided materials, income and the shifting basis of hope for prosperity. There were always plenty of rocks around to hit. I never thought about the source of supply for balls. Just knew they were always there. 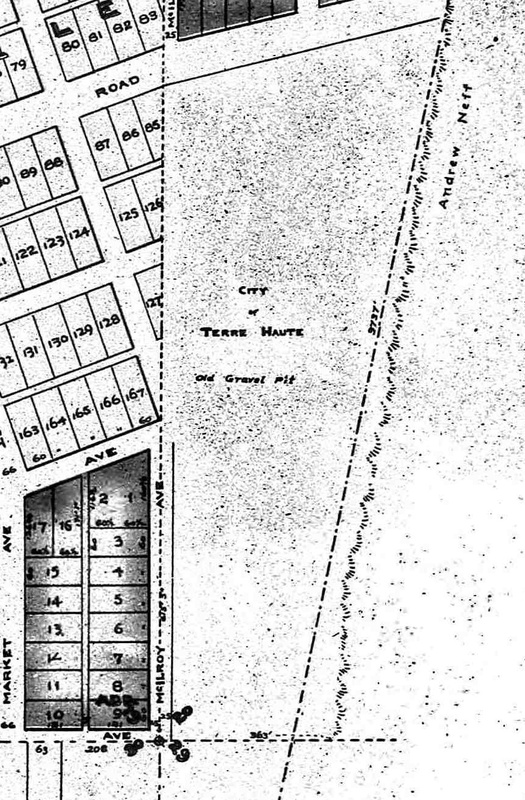 It was not until I discovered an 1895 plat of West T. that I realized why. There on paper was an area designated at the “Old Gravel Pit City of Terre Haute.” My grandparents’ home had been built on reclaimed land at the very edge of a gravel pit. The hill was the vestige of the pit. The last portion that had been dug. So, I was not surprised that West Terre Haute was something of a center of gravel pits. There were several in the area. The biggest was just north of town. One of the pits was among the largest in the Midwest. It was a half mile wide and a half mile long. The gravel layer was estimated as over 100 feet deep. Though in 1905 only 60 feet of it had been dug. The “pit” was divided in two by two railroads. The Vandalia railroad owned one part, the Big Four the other. They were stony gold mines. Over a million yards had been excavated by 1906, and many more lay beneath the surface. The trick was how to get at this buried wealth. The railroads first ran lines of track and switches to the pit area. One track was devoted to a huge steam shovel (remember Captain Kangaroo reading us Mike Mulligan?). Alongside that track was another track used for a long string of open or flatbed railroad cars waiting to be filled. As the 20th century progressed a new tool was added to the pits to aid in extracting gravel when water filled the pit. 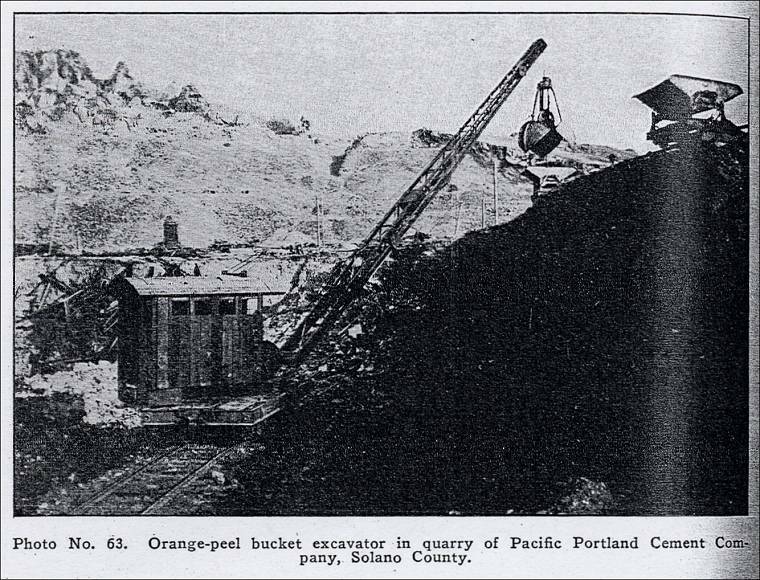 An excavator known as an “orange peel” began to be used. It was called that because it resembled a half an orange peel cut into sections. But this peel, when opened, revealed huge dragon teeth meant to bite into the gravel bed. Powered by a steam engine connected to cables, the orange peel would take great bites of gravel and bring them to the surface to be loaded. The gravel was used for roads, to make concrete, and other industrial uses. It brought a temporary prosperity. Like other quarries, gravel pits when exhausted became mini lakes as they filled with water. They often claimed lives of swimmer. And they provided more baseballs than could ver be swatted into the outfield.